AUSTIN, TX, December 20, 2012 – The Hands That Rock (HTR) attended the International Music and Film Conference (http://www.imfcon.com) in Austin, Texas, December 2 through 4, 2012, to massage its message about bringing the magic of music to students in underserved communities. Flying under the banner of “Created By Festivals for Festivals,” the International Music and Film Conference brings together a wealth of music festival professionals and entertainment executives to network, learn from one another, establish partnerships and understand the latest trends in festival operations. As a result of the conference, several more festivals have signed up to support the HTR mission. The Wintergrass Festival in Bellevue, Washington immediately secured HTR’s participation after the IMF Conference for its upcoming four-day event held on February 28 to March 3, 2013. Darcy Lynch, handsthatrock@gmail.com,401.369.2239 begin_of_the_skype_highlighting 401.369.2239 end_of_the_skype_highlighting. Creating a Rock & Roll quilt for charity out of old rock tees! Gonna auction it off for charity! 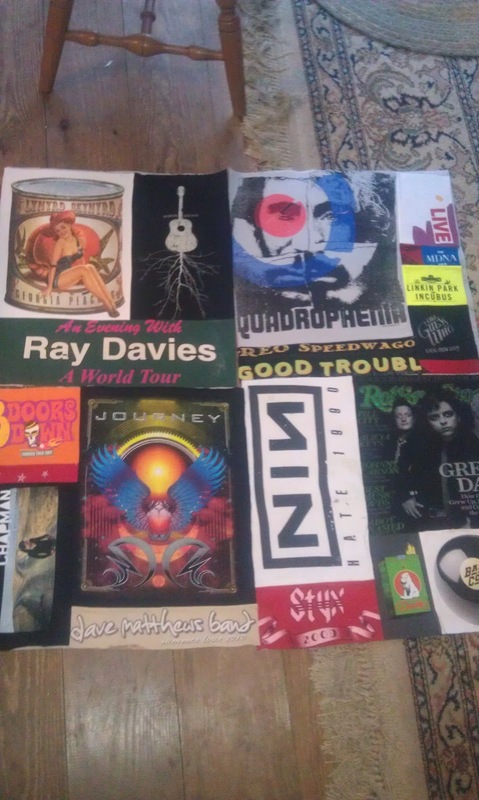 If you have shirts to donate please contact Darcy at handsthatrock@gmail.com . Five squares down...seven to go! 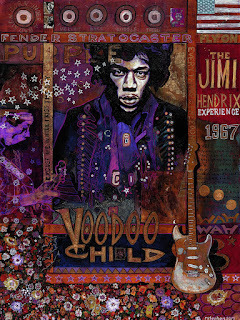 Hands That Rock has partnered with Ray Stephenson to re-create his amazing Rock & Roll paintings into an amazing line of SWAG, with a portion of the proceeds going to charity. Please like his facebook page, https://www.facebook.com/RayStephensonPaintings?fref=ts. If you see anything you like let us know and we can customize something for you! 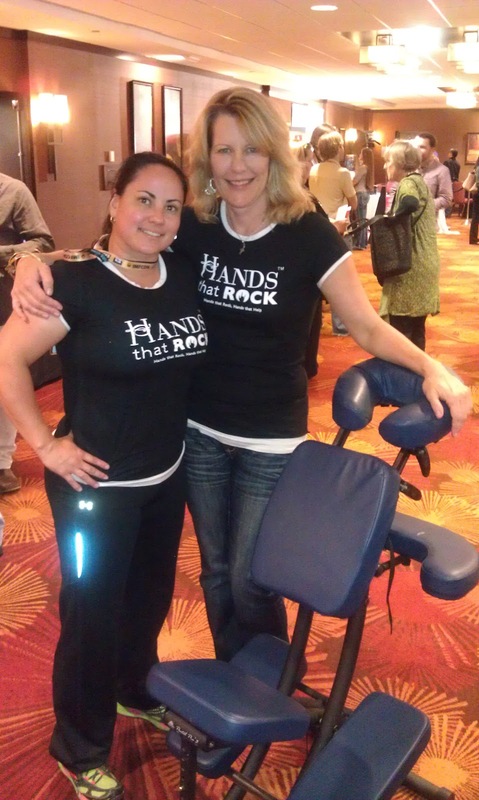 Hands That Rock is heading to Austin, TX for teh IMFCON to offer chair massage to conference attendees and to promote our massage for charity! For those of you smart enough to be among the record-breaking attendance at the ninth annual Billboard Touring Conference Nov. 8-9 in New York, you might have wondered who those nice ladies were offering chair massages front-of-house and in the green room. 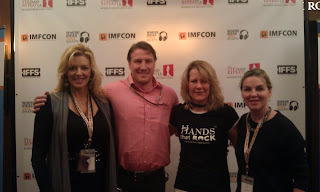 That effort, particularly enjoyed by rockers like Warren Haynes and Mark Farner and soul powerhouse Tre Williams (who zoned out and almost had to be dragged off the chair to make it to his panel), was spearheaded through the grace of Darcy Lynch and Hands That Rock, a fund-raising offshoot of her Stage Hands touring massage therapy business. HTR's mission is to bring music programs to underserved communities throughout the United States. It's not really surprising that HTR received a profile boost this year through Kevin Lyman, producer of Vans Warped, Country Throwdown, Mayhem and other tours, and recipient of the Humanitarian Award at the 2010 Billboard Touring Awards. HTR began in earnest in May on Country Throwdown and was present on Lyman's other tours like Mayhem and Uproar, as well as such events as Bumbershoot in Seattle and Moogfest in Asheville, N.C. The for-profit work that Stage Hands does with touring artists gave Darcy the leverage to form nonprofit HTR. "We had a presence in the industry already because of the backstage work we do with celebrities on a global scale," Lynch says. "I went to Kevin Lyman with this idea for Hands That Rock and he said, 'This is brilliant. I'll help you out with this.' He's all about charitable fund-raising, so he's been a great partner for us. He purchased these branded tents, we had our logo trademarked, and he basically took them on tour with him." In its first five months, HTR has worked 35 events, with 400 therapists on the road, totaling 118 consecutive days of fund-raising that netted approximately $15,000. Most of that occurred during a record heat wave (people aren't so into massages when they're sweaty, apparently), "but it was still a breakthrough season for us," Lynch says. The profile is growing: HTR will be on the Afterlife tour next year in Europe, Asia, Australia and the United States. It's all indoors, and Lynch says there will be five therapists at each show. The majority of the fund-raising done at concerts and festivals comes from front-of-house patrons, although they do place a couple of therapists backstage and in VIP areas. Rather than tour the therapists, Lynch pulls from a network of 700 practitioners worldwide. For a 20,000-capacity event, HTR might have six therapists on hand. The way it works is HTR charges a fee (usually $1 per minute), the therapist keeps 50% and 25%-30% goes to charity. The primary HTR charity is Little Kids Rock, an organization that provides music education programs to underserved communities. But HTR will also donate to local charities, as it has at events like Bumbershoot. HTR and Stage Hands draw from the same pool of therapists, but generally Lynch keeps the two programs separate. "I don't have a problem having a therapist come there early [under Stage Hands], but if [the artist] is not there for their scheduled massage, the therapist needs to be allowed to work [for HTR] until the artist is ready," Lynch says. In such cases, the Stage Hands fee would also go to charity. "The nice thing about having two organizations that are similar is it's kind of the same business model, but in a different context. So what we do is manage and coordinate tours and recruit qualified therapists where they're going. Now we just do it for charity." Lynch's call to action is to get more people from the artist and touring community involved with HTR. "We really need to strengthen our board of directors," she says. "We do have some star power on the board-interestingly, we have a lot of drummers, like Kenny Aronoff [John Mellencamp, Bob Seger] and Franklin Vanderbilt from Lenny Kravitz's band, but we would like to have more musicians get involved and create partnerships like with Kevin Lyman, even if they're not on our board. We're looking for people who want to get involved." If music is a universal language, so is a good massage-and so is philanthropy. 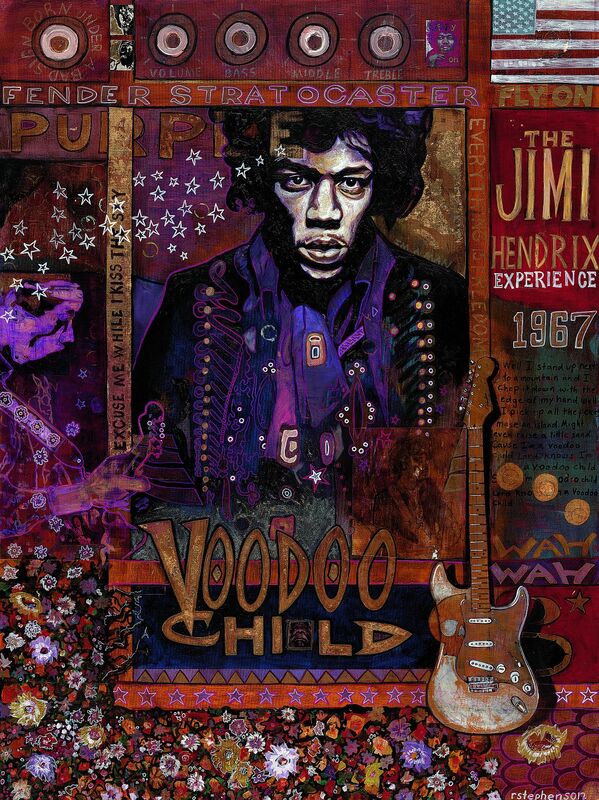 Just ask a soul singer, a classic-rock titan and a rock'n'roll Iron Man. A qualified Massage Therapist can be found at wellness spas, beauty spas, chiropractic offices and fitness clubs, along with Massage Therapists who have their own practices. They have the knowledge of the human anatomy, kinesology and physiology. People can seek a good Massage Therapist for help with pain relief and stress. A good Massage Therapists offers skills in sports massage, relaxation massage and treatments for various conditions such as fibromyaliga, carpal tunnel syndrome and various other disorders. Many don’t realize that some medical insurances cover massage therapy. You may just need to get a reference from your doctor or chiropractor. Massage is a great option for people who can’t get any relief from migraine headaches, sciatica and backaches. Once people discover the amazing benefits of touch they are able to rid the pain that has been keeping them home sick and be able to go on to lead productive lives. They just have to make sure to schedule time for their Massage Therapists. Pregnant mothers are finding relief with prenatal massage, which some Massage Therapists specialize in. People are even getting results with treatments for intestinal disorders like Crohn’s disease and irritable bowl syndrome. People with work-related injuries get relief in neck pain, shoulder injuries and sports injuries. People are even benefiting from massage for emotional disorders such as depression and stress. You can find Massage Therapists who offer their services through a mobile spa and will come to you. You then can enjoy a therapeutic massage in your own home. Massage is not just a luxury like many people associate it with. It is a valuable treatment for many facing various painful disorders and seeking relief. Author: Marguerite Wright is a therpist for Stage Hands Massage Therapy & The Hands That Rock. She offers various treatments such as Swedish massages, Effleurage, Myofascial Release, Sinus Drainage and more. Marguerite is an Independent Business Owner that offers a line of skin care products by Artristy®. 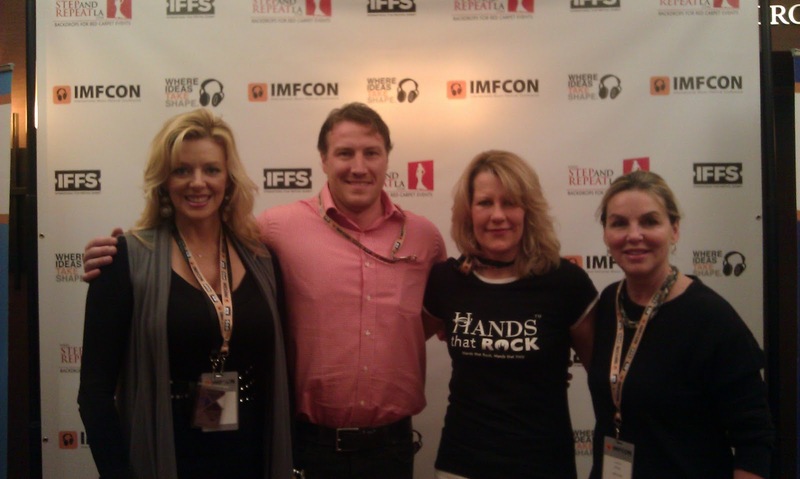 The Hands That Rock participated in the annual Billboard Touring Conference & Awards on November 7 & 8 in New York City. Just a week after Hurricane Sandy and NYC still recovering from the aftermath, music industry professionals travelled from all over the country to support the event and honor award recipients. Just had an great interveiw with Billboard Magazine! Coming soon to a newstand near you! Look out Nashville!!! Here I come! Stage Hands Massage Therapy, Inc. is proud to announce the launch of our new subsidiary and charitable organization, The Hands That Rock. A significant percentage of net profits generated from direct donations and our provision of health services for the events industry, will be donated to organizations that help shape the lives of children through the joy of positive expression gained through music education. 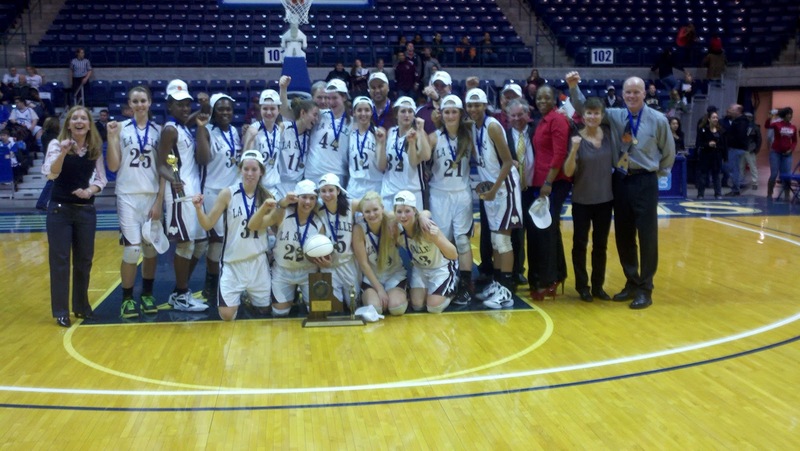 Hannah's girls basketball team one the Division 1 state championships against her old alma mater, Bayview Academy! LaSalle Rams ROCK!!!!!!!!!!!!!!!!!!!!! Hannah's girls basketball team one the Division I state chamionships against her old alma mater, Bayview Academy. LaSalle Rams ROCK!!!!!!! Read all about it.